For one reason or another, I missed out on every concert during my tweens. Chicago was playing on the second night of Passover. Bryan Adams was playing the weekend of my Bat Mitzvah. Corey Hart was playing when I was out of town visiting family. Finally, Richard Marx popped my cherry, and The Who got sloppy seconds. So did I: This was one of many reunion tours. Not that this concert even counted towards my coolness quotient because I was forced to hang out with my mother who wouldn't let me go alone with my friends. Missing Bryan Adams was the biggest disappointment of my second decade, even worse than being Canadian and not having prom. I lived in Winnipeg during junior high and part of high school, but everyone knew I came originally from Vancouver, British Columbia. Somehow sharing a birthplace with Bryan Adams made people think I had an inside track with him. But the sad fact is that only my imaginary boyfriend lived in Vancouver. Read more: I Don't Want To Look Like A Middle-Aged Lady. I Want To Look Like A Middle-Aged Woman. Molly Ringwald, however, elevated me to the coolest point I will probably ever achieve. Fresh off her John Hughes hits, she was about to start filming a new movie and they needed snow in March. Makes sense they would come to Winnipeg, right? Since I had red hair, and she had red hair, I felt an instant and eternal kinship with her. So I stalked her of course. I climbed 22 flights of stairs at her hotel and managed to see her sitting around before a security guard asked me if I was lost. The Winnipeg Free Press was publishing Molly sightings, so I called to tell my story and made it into the column. Written proof of my life's greatest accomplishment. But it was hard keeping up with the Jennies. I couldn't afford neon paint splatters or fancy labels like Esprit and Benetton. I had to peg my Edwin jeans to fake them being Guess, and when I finally purchased a pale pink Camp Beverly Hills sweatshirt off the discount rack, I promptly suffered a pen leak all over it that no amount of hairspray could remove. I felt that I was always playing catch-up with the fashion trends. You could pretty much tell when something had reached peak cool by when I finally got around to buying it. Now that I am a woman of a certain age, I have come to terms with the uncoolness of my youth and embraced who I am: an uncool adult with a lot of catching up to do. Sometime in my 20s I went to see Duran Duran at the Staples Center in Los Angeles. The concert was amazing even with the distraction of the guys in front of me straight out of Miami Vice with mullets and Hawaiian shirts. A couple of years later I saw Flock of Seagulls at a small venue. Great concert but without the 80's vibe, it looked like a bunch of old dudes up there. I mean, where was the hair??? At least to hide the forehead wrinkles! I saw Chicago but without Peter Cetera; it was good but not the perfection I had imagined. This was the first inkling I had that I needed to hurry up checking concerts off my bucket list. I managed to see Tom Petty and Jackson Browne in Boston and Flogging Molly in New York City (where I almost didn't survive a mosh pit). I was on Craigslist one day when I randomly saw a post for a free Prince ticket at Madison Square Garden! The guy just wanted company, not even money for the ticket. I met him at a bar and he was not creepy! No third eye or roaming hands. We went to concert (bitchin'! ), passed out at my apartment from drinking shots, and parted ways as the best 24-hour friends ever. The proudest moment of my New York concertgoing was buying a ticket off a scalper to see an acoustic set by Bryan Adams at the Beacon Theater. 20+ years after the fact, I saw my beloved in concert. It felt fantastic to right that historic injustice. A few months ago I revived my quest to binge-watch every concert I missed out on in my youth. I bought a new pair of Tretorns and got to work. I started with the Steve Miller Band where I also decided to commemorate each notch in my belt with a concert T-shirt. Next I saw Duran Duran and danced like no one was watching. My husband was though, mesmerized. Until that moment he had thought I was genetically disposed to lack rhythm! This was followed by Cyndi Lauper and Boy George. They were a double bill and seeing them TOGETHER at the end of Cyndi's set was amaze-balls. It helped that we had fourth row-center seats. Who's your concert throwback crush, and what's your dream outfit? 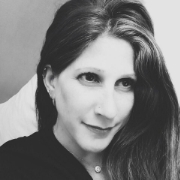 Cara Paiuk is a freelance writer and photographer whose articles and pictures have appeared in The NY Times, The Washington Post, The Huffington Post, Scary Mommy, and many others. She lives in West Hartford, CT, with her husband, young son, and toddler twin daughters. You can follow her @carapaiuk.